Police have sparked a debate among locals after appealing for a thief with a ‘Croydon accent’ - because people can’t decide if it exists. 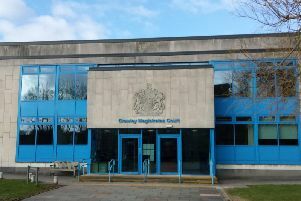 An appeal for information relating to a gunpoint robbery in Crawley included a description of the suspect and bizarrely noted that he had a ‘Croydon accent’. Residents of the south London borough picked up on the unusual identifying detail of the suspect, which was reported on by a local news website. Croydon is the birthplace of supermodel Kate Moss, football pundit Ian Wright and MOBO-award-winning rapper Stormzy, who have all yet to wade in on the argument. On a Facebook post some people said they have been told by others they have a ‘Croydon accent’ and so the phenomenon must exist. Michelle Rushton said: “I’m born and bred in Croydon and actually we do have a slightly different accent. Several people say they have moved away from the area - but have been told by others that they have a distinctive tone to their voices. And Karl Ellis said: “You’d be surprised how many times that people I’ve met from London to Cardiff have guessed I’m from Croydon because I apparently have an accent. But others disagreed and said it wasn’t possible to have a ‘Croydon’ accent. Mancunian commenter Donnz Mainwaring said: “As a Manc living in Croydon I’m gonna tell you, there’s no Croydon accent you all sound the same.